Pregnancy is bliss. But there are a few factors that can be frustrating during those days. Other than your hormones going haywire and driving you crazy, another frustrating condition that comes with pregnancy is melasma. Melasma is a stubborn skin issue that causes blotchy dark spots. But you don’t need to worry since it is a pretty common issue that can be managed easily. Want to know how? Let’s dig in. 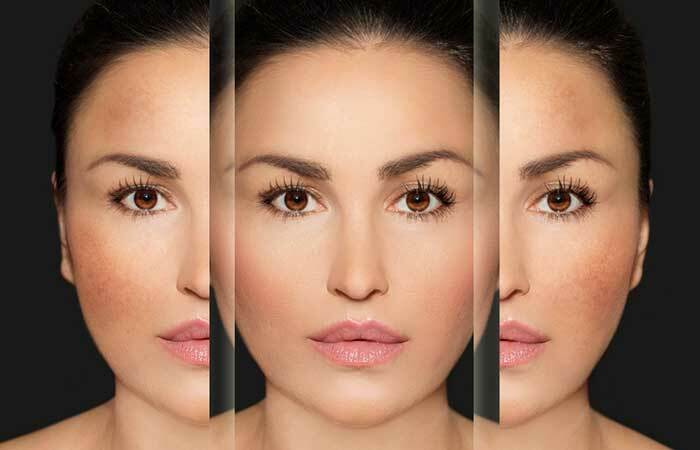 Melasma And Hyperpigmentation: What’s The Difference? Also known as chloasma, melasma is a skin condition in which you get brown patches or spots on your skin. Since it is a common issue in women, especially dark skinned women, anyone can get this condition (1). Melasma is also known as the ‘mask of pregnancy’ when it appears in pregnant women. One study says that centrofacial pattern is the predominant pattern that appears in 50-80% of the cases of melasma (2). Pigmentation and discoloration may also appear on your neck and shoulders. 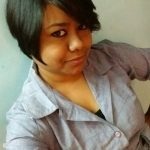 While it is not harmful, women tend to become a bit self-conscious about their appearance. Many of you may confuse melasma with hyperpigmentation. Well, let me clarify one thing here. 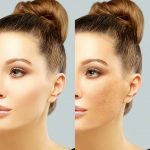 Hyperpigmentation is a very broad term, and it refers to any skin condition in which skin discoloration or dark patches may appear due to any number of factors. For instance, scarring caused by acne, pimples, or boils and marks caused by sun exposure, eczema, or psoriasis – all come under hyperpigmentation. This means any discoloration of skin can be called hyperpigmentation. Melasma is a bit tricky. It is a type of hyperpigmentation that is mainly triggered by UV exposure and hormonal factors. Compared to traditional hyperpigmentation (which lingers on the top surface of the skin), melasma is much deeper (it can go deep into your skin’s layers) and tough to treat. Let’s explore its causes in detail. Another study, however, blames your hormones for wrecking your skin with spots and pigmentation. It found that high levels of hormones, such as progesterone, estrogen, and melanocortin, triggered melasma during pregnancy. It also found that women who use oral contraceptives were susceptible to this condition (4). Another study found that women with hypothyroidism also suffered from this condition (5). This means any one factor or a combination of multiple factors, along with UV exposure, can cause melasma. It may go away after childbirth (if caused by your hormones), or it may take a few months’ time and treatment. If you notice any skin discoloration or patches that are darker than your skin tone, consult a dermatologist for proper diagnosis. Usually, a dermatologist can determine whether it is melasma or not by merely running a visual examination. However, they may perform several other tests to rule out any other underlying factors. When diagnosing melasma, the doctor may also perform a Wood’s Lamp Examination. In this procedure, a particular type of light is held close to your skin to determine whether your skin is affected by any fungi and bacteria. It also helps in determining how many layers of your skin are affected by melasma. When treating this particular type of hyperpigmentation during pregnancy, remember that the results may differ from person to person. 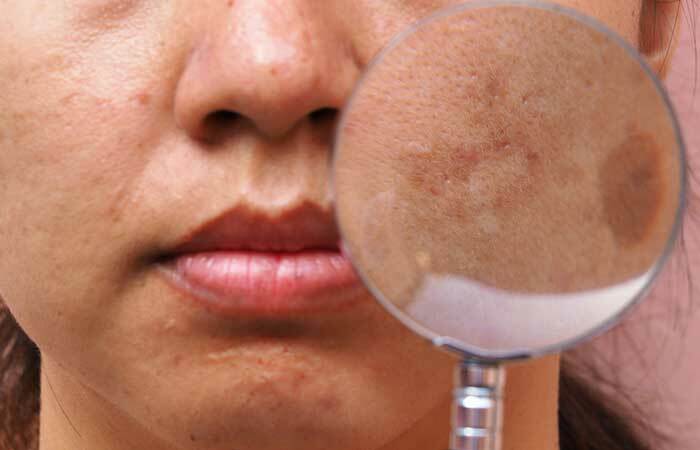 For some women, melasma may disappear without any treatment (after they deliver the child or stop taking contraceptive pills), and for some, it may not go away that easily. This medicine is widely used for treating melasma. Hydroquinone is available in gel, liquid, cream, and lotion forms. When applied topically, this medicine helps in fading the marks. Most of the creams containing hydroquinone are available over-the-counter. However, for some, you may need a doctor’s prescription. Generally, over-the-counter creams contain less amount of hydroquinone. Anything stronger than that requires a prescription. Dermatologists often prescribe tretinoin or corticosteroids along with other medicines. This is just to enhance the effect of skin lightening. If the melasma is severe, dermatologists may suggest a cream that contains hydroquinone, tretinoin, and corticosteroids. The doctor may even prescribe kojic acid or azelaic acid to lighten the spots. In this process, the doctor applies glycolic acid or a similar abrasive chemical on the affected area. This creates a mild chemical burn on that surface. The burned layer is then peeled off, exposing fresh skin that is devoid of spots. However, if hormonal issues are the cause of your melasma, chemical peeling may not work unless you resolve your hormonal imbalance. Both are medical procedures where the doctor uses an abrasive material to sand off the top layer of your skin. 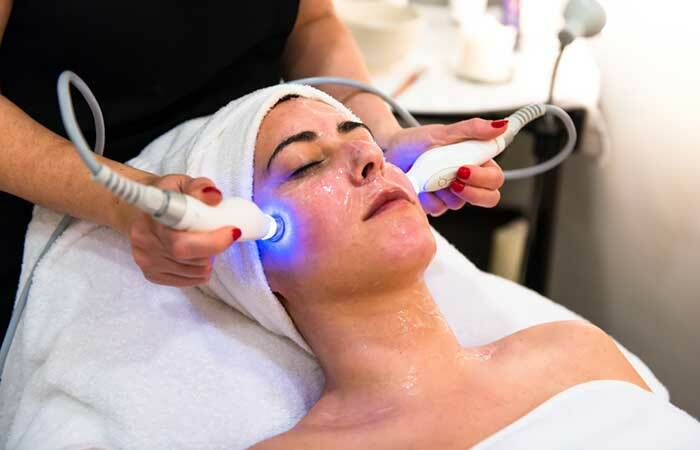 They use a machine to exfoliate your skin and strip away the dead skin cells, thus gently lifting and removing the affected layer of your skin. You may have to undergo multiple sessions to treat your melasma thoroughly. Laser treatments can be restorative or dual fractional and target only the affected area. However, this treatment is pretty expensive, and you may need multiple sessions to eliminate melasma completely. UV exposure is your skin’s biggest enemy, and because it is one of the factors that trigger melasma, wearing sunscreen is a must. Always use a sunscreen that has a broad spectrum and an SPF of 30 or more. Apart from sunscreen, wearing a broad-brimmed hat or carrying an umbrella also helps in shielding a major portion of your exposed skin. Whenever you are outside, try to stay in the shade. Stress worsens melasma. So, even if you notice spots and pigmentation on your skin, do not freak out. Relax and try remedies to treat them. To reduce stress, you may even consider meditation, listening to music, or just treat yourself to a bubble bath. Use the medicines prescribed by your doctor regularly and at intervals suggested by them. This will help get rid of the spots faster. You need to be diligent with these preventative measures. Though you may need to consult a dermatologist for melasma, you can easily rely on home remedies for treating any other form of hyperpigmentation. Here are a few ingredients that you can use to get rid of spots and marks. 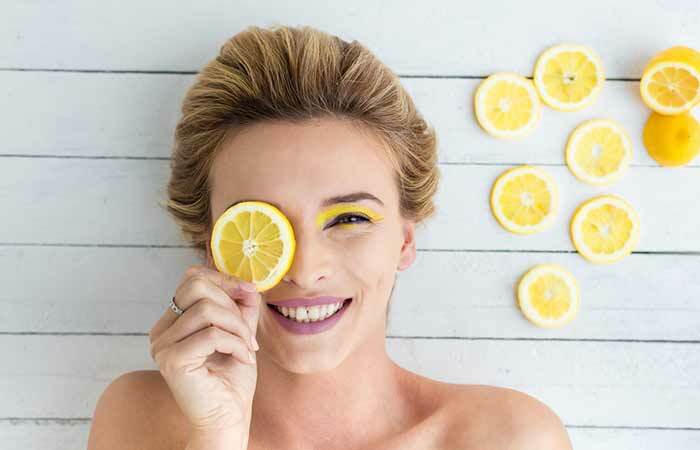 Lemon contains citric acid, which makes it an excellent skin whitening agent. It also reduces dark spots and blemishes (6). Dilute the lemon juice with some water. Dip the cotton ball in it and apply to the affected area. Leave it on for 15 minutes before washing it off. Note: Lemon juice may cause irritation – so, use it in small amounts. Potato contains azelaic acid, which helps in reducing tyrosinase activity. This helps in reducing spots and pigmentation (7). Azelaic acid is also often prescribed for melasma. 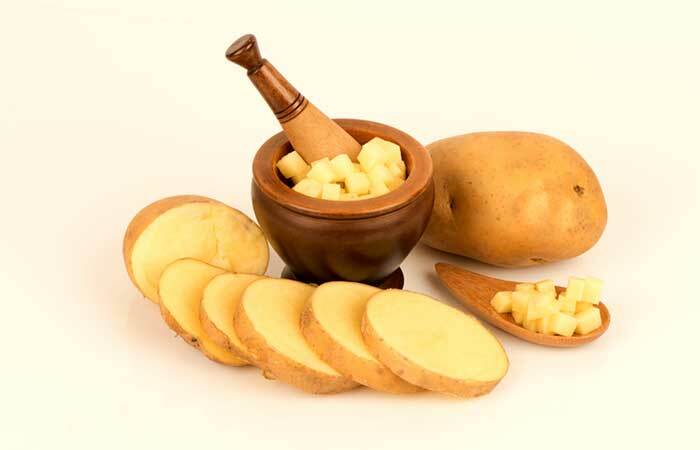 So, you can use potato for treating melasma and any other form of hyperpigmentation. Grate the potato and squeeze out its juice. Apply the juice to the spots and let it dry. 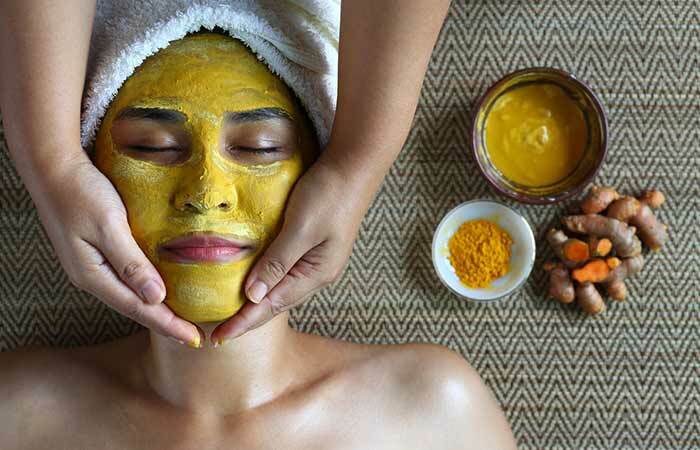 Turmeric contains curcumin that reduces melanoma cells, thus lightening your dark spots and blemishes. It also helps in reducing tyrosinase activity (8). Mix both the ingredients and apply the paste to your face. Leave it on to dry before washing it off. Repeat until the spots vanish. 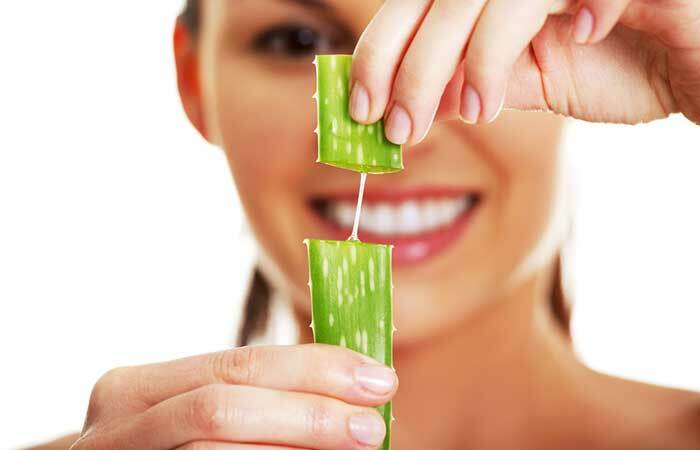 Aloe vera contains aloin, an ingredient that has skin lightening effects (9). It also removes dead skin cells and boosts cell regeneration. Apply aloe vera gel to the affected areas before going to bed. Leave it on overnight and wash it off the next day. Follow this religiously every day. 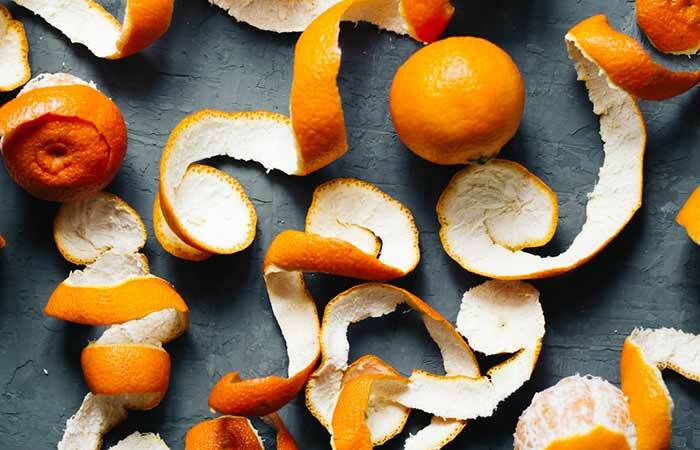 A study has proven that orange peel powder has anti-tyrosinase activity that can reduce dark spots and whiten the skin (10). Apply it to the spots and leave it on for 20 minutes. 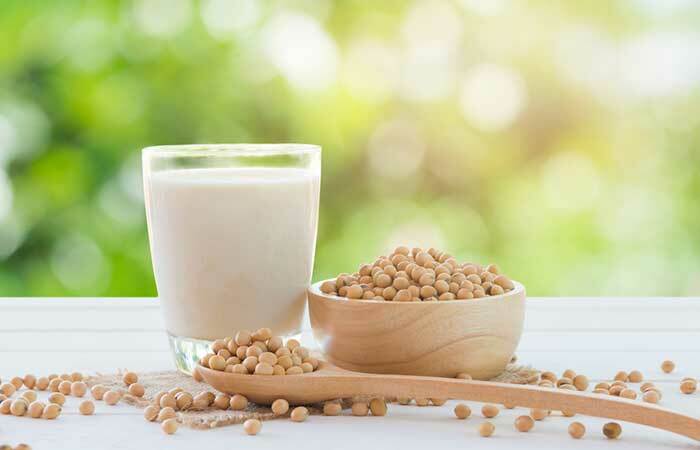 Soy contains phospholipids, isoflavones, and soybean trypsin inhibitors (STI) that can inhibit the activity of trypsin and melanogenesis, thus reducing hyperpigmentation (11). Apply the paste to the affected area or the entire face. Gently massage for 10 minutes. Leave it on to dry. 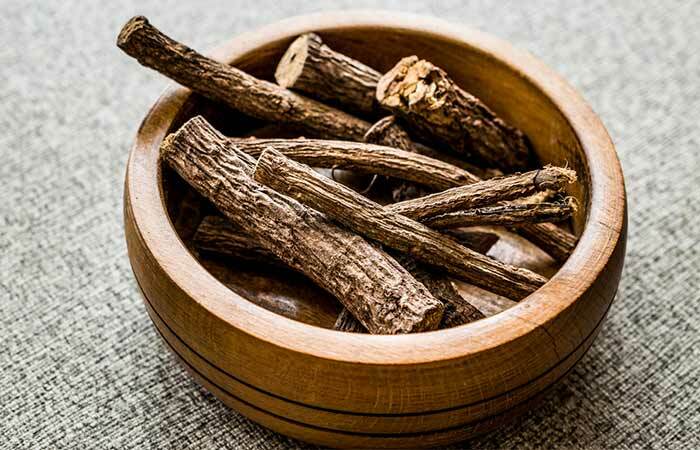 Licorice can inhibit melanin and inhibit cyclooxygenase activity, thus reducing the production of free radicals. It also contains glabridin that prevents pigmentation induced by UV ray exposure (12). Apply all over your face or just the affected area. Let it dry. 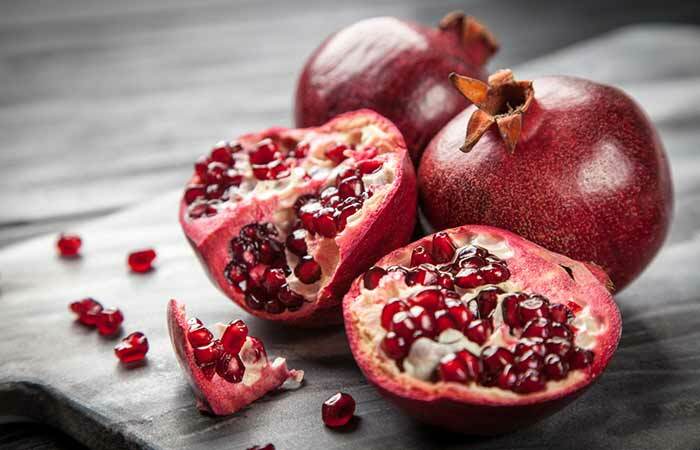 Pomegranate contains ellagic acid, which is an antioxidant that prohibits melanin production and reduces hyperpigmentation (13). Apply to the affected area and leave it on for 20 minutes. 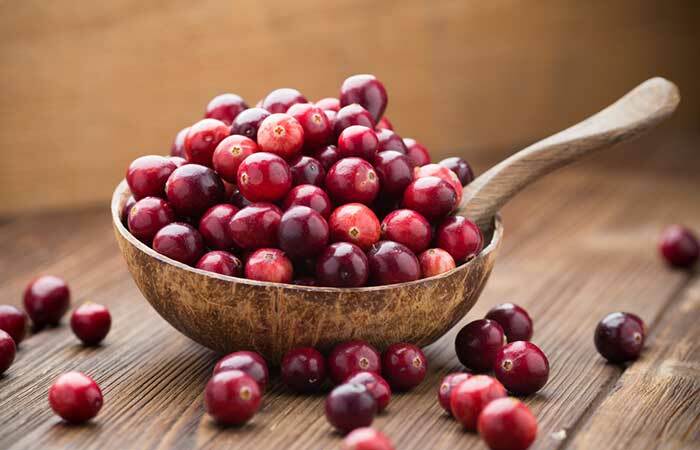 Cranberries contain arbutin, which is a natural derivative of hydroquinone. Therefore, it can effectively reduce hyperpigmentation (14). You can even use it for treating melasma. In a food processor, blend all the ingredients to make a paste. Apply the paste all over your face or just on the affected area. Let it dry and then wash off. 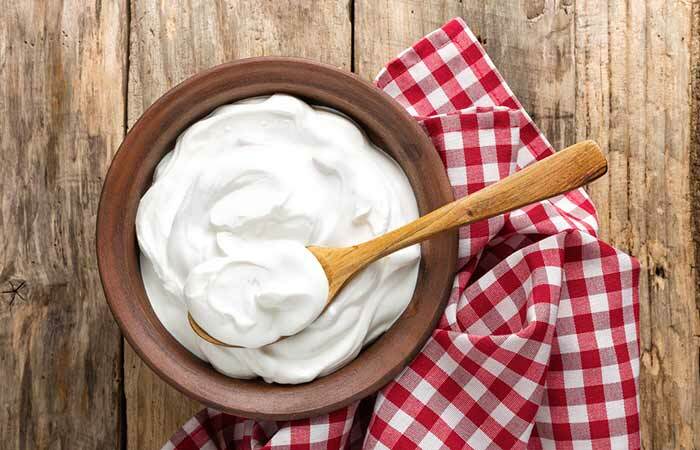 Yogurt contains alpha-hydroxy acids or AHAs, which are widely used for chemical peeling. It also contains citric and glycolic acids that help in reducing hyperpigmentation (15). Leave it for on 20 minutes before washing it off. Melasma and hyperpigmentation during pregnancy are pretty common. You don’t need to get scared if spots appear on your face and other parts of your body. 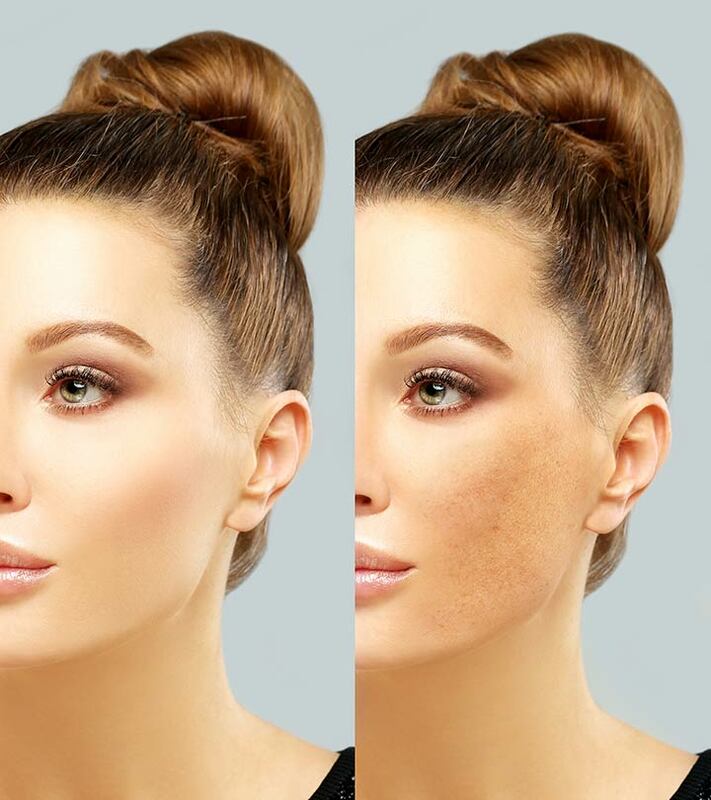 While you may not be able to get rid of melasma completely and there is no assurance that it will not recur, you can keep the spots away with proper care and preventive measures. Have you have faced similar issues? How did you prevent it? Which method worked best for you? Let me know in the comments section below. Till then, take care and enjoy your motherhood!